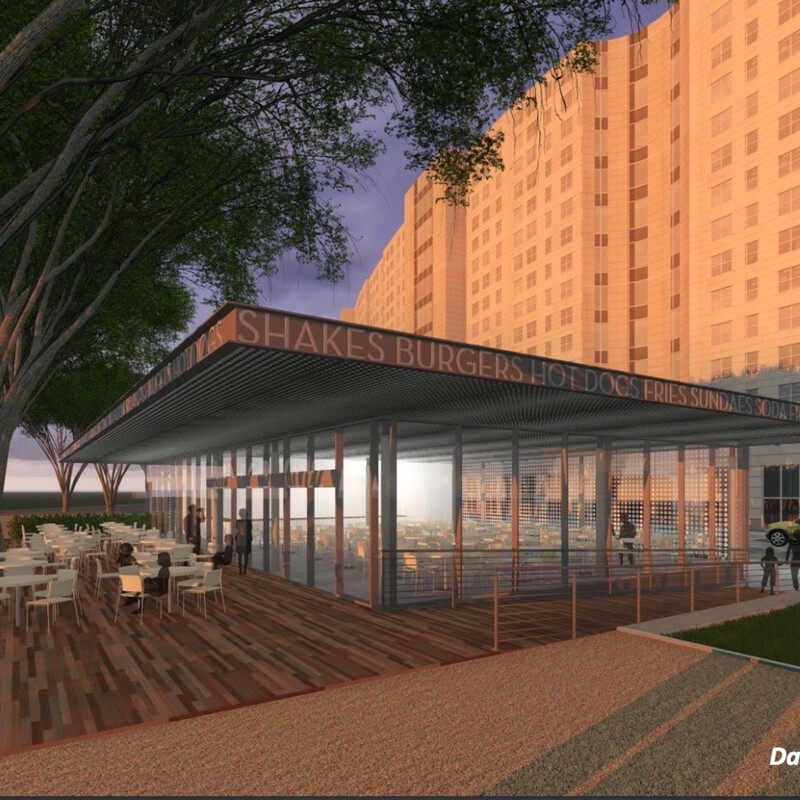 With both Houston and Dallas quivering with anticipation at the imminent arrival of Shake Shack, the company offered a sneak peek at what the new restaurants will look like. 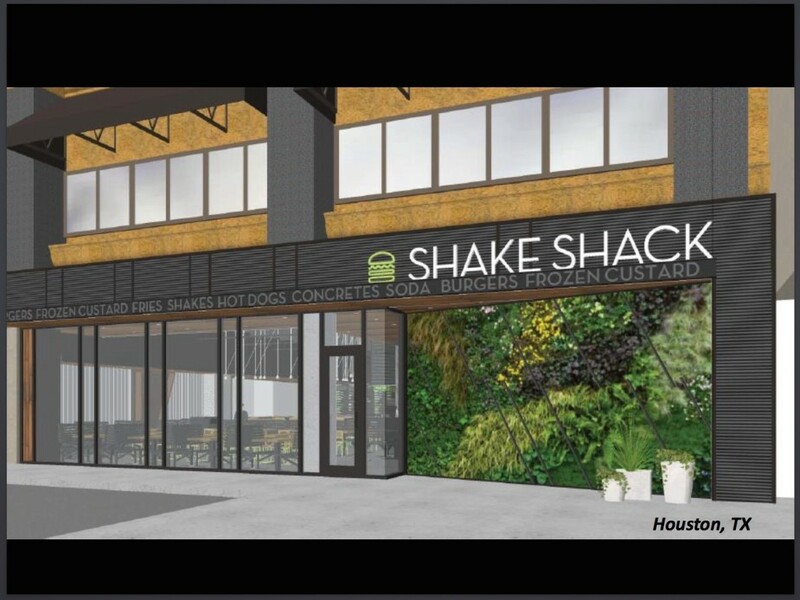 As part of a presentation to investors at the 18th annual ICR Conference in Orlando, Shake Shack displayed updated renderings of a number of upcoming locations including the two Texas cities. For Houston, the new image replaces the generic placeholder that Galleria owner Simon Properties had posted to its website back in November. 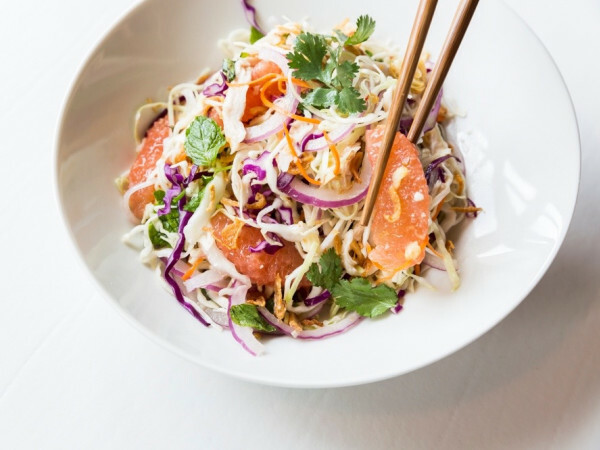 With its mixture of wood accents and a potential living wall, the Houston location recalls Austin's first location that opened last April on South Lamar. 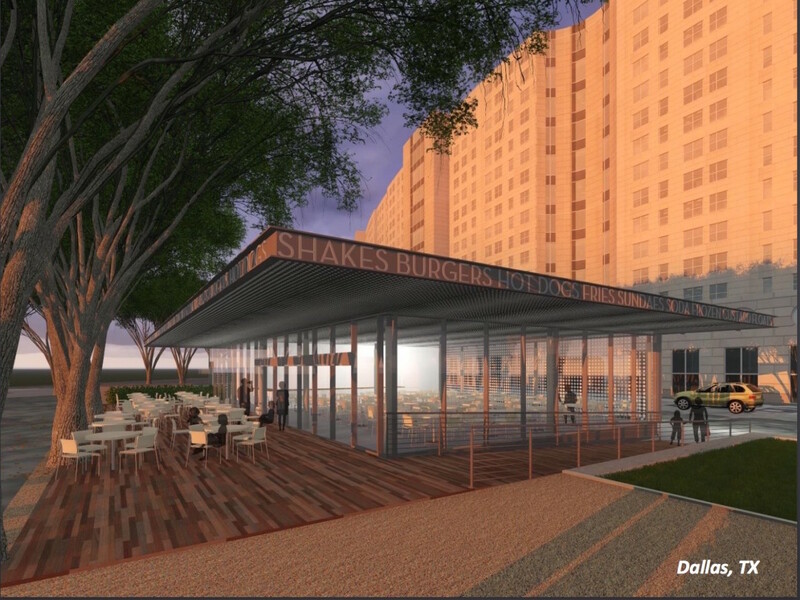 Unlike Houston, Dallas's Shake Shack will be a free-standing unit in the Legacy West development in Plano. 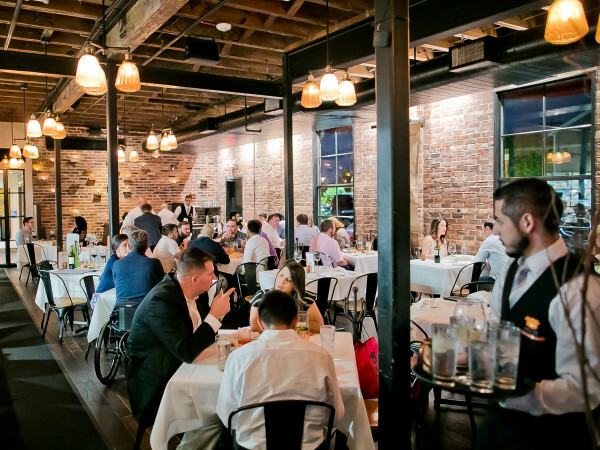 That location appears to feature even more glass than in Houston and an expansive patio. Still unknown is what unique menu items the company will bring to each market. 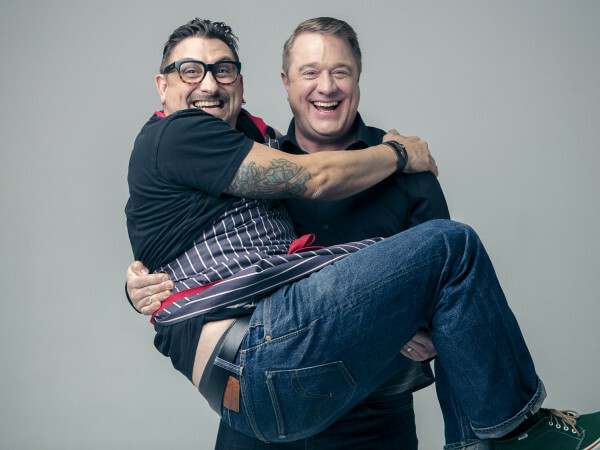 In Austin, Shake Shack partnered with iconic barbecue joint Kreuz Market to supply sausage for the Lockhart Link burger and celebrated Japanese restaurant Uchi for a concrete that blends vanilla frozen custard with the Uchi team's miso hazelnut blondie and huckleberry jam. 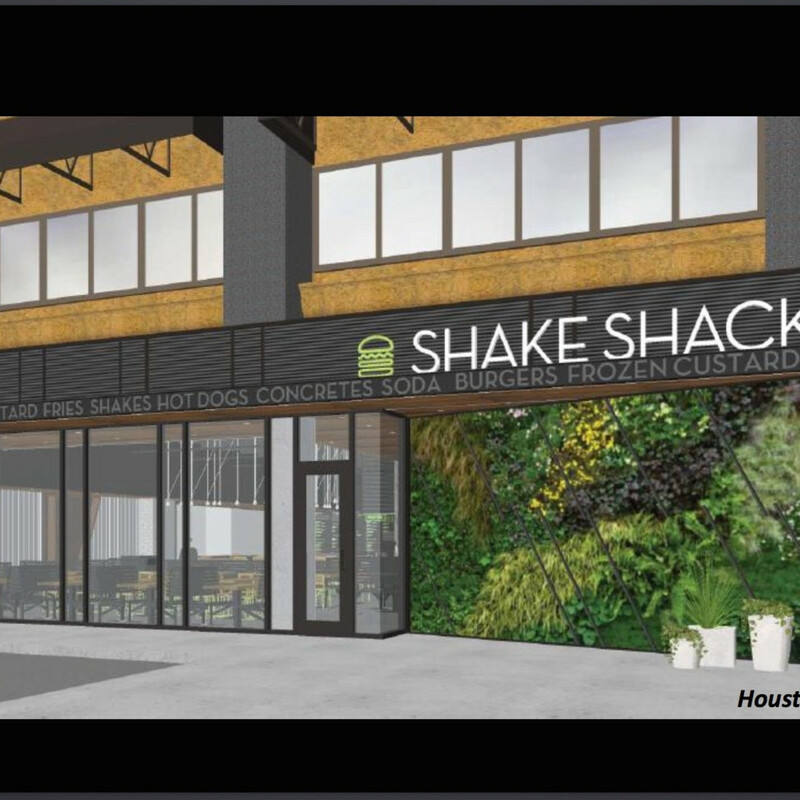 The new Shake Shack in Houston is slated to open in late 2016.